Poverty in Britain today is widely understood in relative terms as an inability to take part in lifestyles and activities which are customary or widely approved in contemporary society due to insufficient resources. This requires direct observation of living standards and cannot be established simply be using arbitrary income thresholds. Since Mack and Lansley’s ground-breaking 1983 survey, surveys on poverty in 1990,1999 and 2012 have therefore examined public views on minimally acceptable living standards and have incorporated these views within the definition and measurement of poverty itself. One consistent finding emerging from these surveys has been the striking degree of public consensus across social groups (e.g. by gender, age, social class, income level, etc.) concerning the relative importance of different items and activities. Nevertheless, as deprivation is here understood to be relative to prevailing societal standards, we should expect that perceptions of necessities will vary across time to reflect changing living standards, tastes and customs. 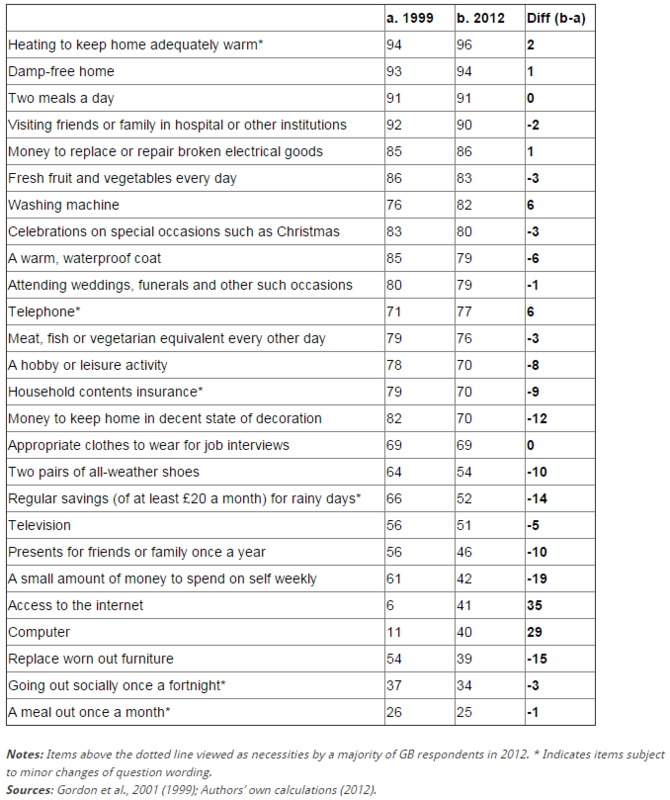 What, then, do the British public view as necessities of life today and in what ways has this changed since our last survey in 1999? 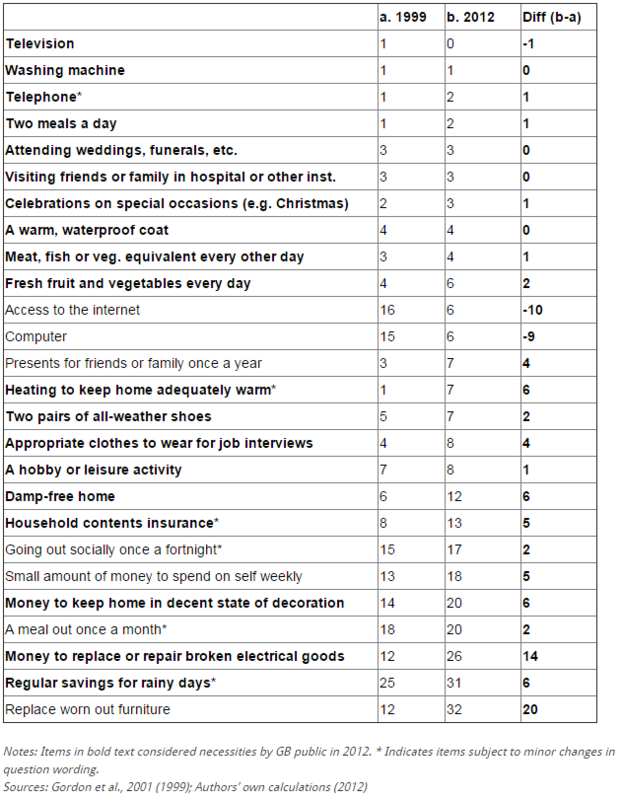 Table 1 below shows the percentage of adults in 2012 and 1999 describing a comparable set of items and activities as ‘necessities’. In both 1999 and 2012 there is widespread agreement on many items, and perceptions of necessities extend far beyond what might be described as ‘basic’ needs to encompass a range of ‘social’ necessities. As predicted by relative deprivation theory, perceptions of necessities also reflect changes in prevailing living standards and consumption norms, for example, in relation to technological items which have become more widely available (and widely encouraged) over the 1999-2012 period. Many items record a substantial fall in the proportion of respondents who view them as necessities in 2012 compared with 1999, with those items where public support was more equivocal in 1999 witnessing an especially dramatic decline in approval. As household incomes have become more constrained, more basic necessities (towards the top of Table 1) are increasingly prioritised over more discretionary items. As we argue in our preliminary report, it seems that the public have scaled back their expectations regarding minimum living standards in ways which reflect the prevailing climate of austerity and pessimism. One consequence of recession and the austerity programme may be that the British public have ‘tightened their belts’ and now consider many things which in the past were viewed as essential to no longer be necessities. There is now widespread agreement on what constitutes a minimally acceptable diet for adults, including two meals a day, fresh fruit and vegetables daily, and meat and fish every other day. However, an increasing number of adults are unable to afford to eat properly, with the percentage of British adults who are unable to afford at least one of these dietary essentials increasing from 5 per cent in 1999 to 8 per cent in 2012. Since Table 2 focuses on the same items measured in comparable ways in 1999 and 2012, there has been an absolute increase in social and material deprivation over this period amongst the British adult population. 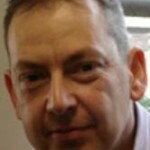 This blog was originally published on LSE British Politics & Policy blog. 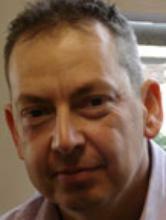 This entry was posted in Health and wellbeing, Social change and diversity, Uncategorized and tagged austerity, poverty, social exclusion by policybristol. Bookmark the permalink.